As one of Our Recommendations and Recommended Recordings, we recommend The Very Best of Tiny Bradshaw, by Tiny Bradshaw, featuring 25 tracks recorded for King Records. 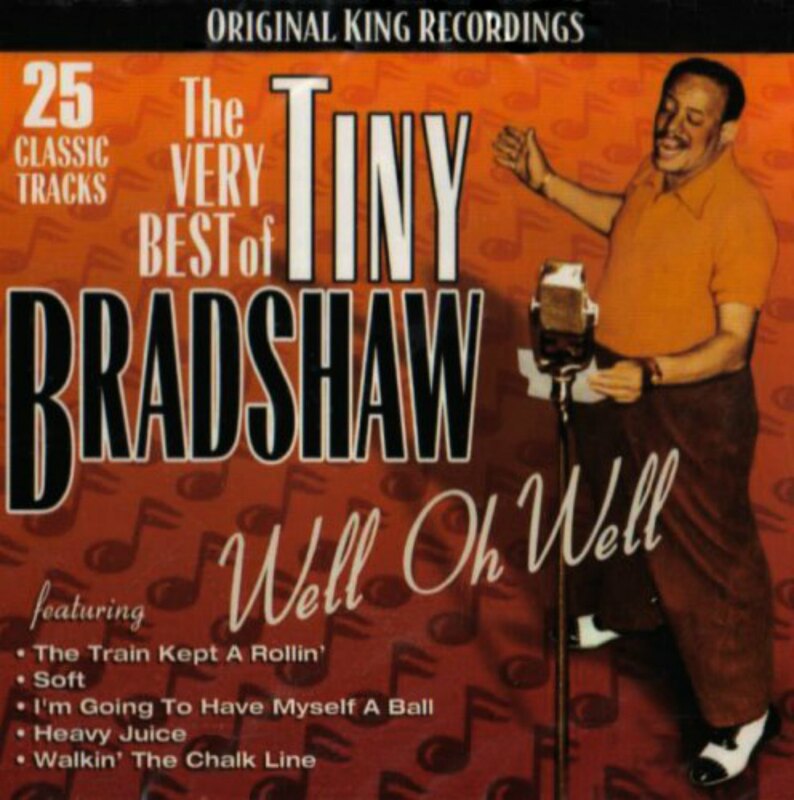 CD cover, The Very Best of Tiny Bradshaw, King Records recordings. To get some idea of Tiny Bradshaw’s influence, here’s the Johnny Burnette Trio doing Tiny Bradshaw’s Train Kept A’Rolling. Paul Burlison is featured in the video on lead guitar. See our page on Paul Burlison’s grave. Here’s a video of The Yardbirds, with Jeff Beck on guitar, performing Tiny Bradshaw’s Train Kept A ‘ Rollin’ in 1966.